1. Running ceiling fans will keep empty rooms cool. False. Your ceiling fan creates a breeze that makes your skin feel cool, and does not actually change the temperature in the room. So, just like the lights, you should turn your ceiling fans off when you exit a room. 2. Closing your vents will save energy. False. Closing vents in unused rooms does not save energy, it just pushes the air that is sent into the ducts into another space. If you close too many vents, the system may not be able to get air through. That creates pressure back onto the furnace fan, causing it to work harder, use more energy and wear out faster. Ooops. 3. Any home can be energy inefficient, even a brand new one. True. A home of any age can be built inefficiently. And just because today’s builders talk about being green, doesn’t mean all aspects of the design are. Many new homes focus on how they use “green” building materials but may not have the most energy efficient heating, water heating or windows. Or they may feature energy saving appliances and have insufficient insulation. There’s often room for improvement. 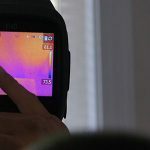 If you are in the process of building or remodeling a house pay close attention to insulation, sealing, plumbing and all the energy using systems in your home. 4. Using an electric space heater instead of running the furnace will save money. False. Running a couple of electric space heaters can cost as much as heating an entire home with natural gas, and create a fire hazard. 5. We waste more power turning lights on and off than just leaving them on. False. There is no additional power draw when turning on a light, and it won’t hurt today’s bulbs. The more energy efficient practice is to turn lights off each time you leave the room, even if just for a few minutes.